Da es mittlerweile zahlreiche Custom Topcaps für den Kayfun gibt,dachte ich das eine aktuelle übersicht zur orientierung hilfreich sein könnte. Ich werde hier versuchen alle derzeitigen Caps mit Herstellernamen,Bezugsquelle und Preis aufzulisten. Diese Liste darf kann und soll gerne erweitert werden,wenn Ihr etwas gefunden habt was zum Thema passt , .immer her damit,..
Diese in Deutschland konstruierte und gefertigte Topcap, passt auf alle Kayfun 3.1/Lite/Lite Plus. Sie ersetzt den oberen Edelstahl-Ring (Ab Makrolon Ring aufwärts) sowie die Standard Topcap des Kayfun 3.1/Lite/Lite Plus und verleiht einem der besten Verdampfer ein ganz neues Äußeres. Die Oberfläche ist nun leicht gebürstet sodass es noch besser zum Kayfun Lite passt. Custom Top-Cap for Kayfun – made by inTaste. Custom Kayfun Top Caps by Wolvesix. If you're looking to give your Kayfun a fresh look, then this custom top cap could be just the thing for you. The Type 1 short top cap features a finned design. The Type 1.2 short top cap features a finned design with a short neck similar to the design of the IN'AX. The Type 2 short top cap features a domed design. The Type 3 short top cap features a ridged "castle" design with a short neck similar to the design of the IN'AX dripper. Custom Kayfun top cap that's inspired by the Doodlebug SE. The Type 2 design is a shorter version of the Type 1 design. This is the last batch that will be produced. We will not restock after these sell out. The Type 3 design similar to the Type 1 design, but features wider grooves and matches very well with the JM mod. The Type 4 design features clean lines along the sides and has a tapered top. The Type 5 design features clean lines and a tapered top that's inspired by the Taifun GT. The Type 6 design features clean lines and a precision cut top section that's inspired by the IN'AX. The Type 6 design features clean lines and a precision cut top section that's inspired by the IN'AX. The Type 6 Special Edition features brass accents on the fin section. This is a special run of Type 6 top caps that was manufactured in limited quantities. Custom Kayfun Top Caps by Science Of Vaping. Kayfun Top Caps by Reaper Mods. Orion Top Cap for Kayfun Give your Kayfun a more sleek look. Gives your Kayfun an ultra-sleek and unique look with a slammed version of the Orion Cap. This is the slimmest and sleekest cap for the Kayfun products. Simulates the stock top cap, but with a dropped and slammed look to it. Nova Top Caps for Kayfun by Maiden Vape. Newest Kayfun Top Cap, made in the USA! Top Cap für Kayfun by Dampfbox. Easy Refill Top Cap by Simply Tips. Man benötigt kein Werkzeug mehr um den Kayfun zu befüllen. CustomTop Caps for Kayfun by Mod Factory. Made in Italy by the Mod Factory, the K-Square cap creates a new look to your Kayfun, and provides approximately 1ml additional liquid capacity without changing the overall dimensions. Machined from 316 Food Grade stainless steel and brush finished. The K-Pico Kit consists of a very low profile top cap and replacement wide-bore chimney piece to dramatically alter the look and feel of the Kayfun as well as the vape experience. Kayfun Top Cap Kit by Tarsius Customs. Kayfun Piston Top Caps by Syanhaz. Mr Lord met a Malaysian modder named Syahnaz from the Wolvesix group at the Rainy City Vapour Club in Manchester. This is one of the first of their designs we will be stocking. An IN'AX style copper accented stainless steel replacement top cap for Kayfun atomisers. This is one of the first of their designs we will be stocking. An IN'AX style stainless steel replacement top cap for Kayfun atomisers. Super Zusammenstellung [Links nur für Registrierte] vielen Dank! Sind nicht wirklich billig, aber sehr klein. Auch erhältlich ist ein passendes Nano Ring Set, Full SS Tank und Drip Tips (die werden speziell nach Wunsch gefertigt, was Durchmesser, sichtbare Höhe und Bohrung betrifft). Kayfun DX Top Filling Threaded Cap by Avid Vaper. Compatible with all genuine kayfun versions. Finde das Teil auch cool. Von oben Befüllen finde ich super. 3 mm kürzer als die Original Cap UND rund 1 ml mehr Kapazität Ist vergleichbar mit den Kits von Tarsius und Simply Tips, aber die beiden Öffnungen sind verdeckt - sieht besser aus! Frage: Avidvaper verkauft ja auch passende Quartz Kits (Nano und Standard). Habe aber keine Ersatz-Glas-Tanks finden können. Wisst Ihr, ob die von anderen Anbietern dazu passen? Post was edited 1 time, last by Christian ( Jul 21st 2014, 10:29pm ). (Glass tube is 22mm OD x 19mm ID x 23mm) aber von welchen Anbieter da nun was kompatibel sein könnte weiss ich auf anhieb leider auch nicht. Ich würde bei einer evtl. bestellung direkt mal den Händler fragen wie es mit ersatz aussieht. Kayfun Custom Top Cap by Vapett. Science Of Vaping - SOV V2 Kayfun "Chalice" Threaded Top Cap. Limited quantity available. One run was made as a design test run only. Zum nachfolgenden kann ich einen, leider nicht positiven, Erfahrungsbericht liefern. Ich will diesen Tread aber nicht "zerreißen" drum mach ich einen eigenen auf. Für potentielle Interessenten an dem Teil denke ich sicher kaufentscheidend. Post was edited 1 time, last by finvalo ( Jul 29th 2014, 12:20am ). Wolvesix - UFO Styled Top Cap for Kayfun. HOT! A small batch of Wolvesix custom top caps just got in. The UFO design is rumored to be their last custom top cap release, and if you're a Wolvesix collector then you don't want to sleep on this one. The topcap itself is made out of 304 stainless steel, while the UFO section is made of brass. The brass section is machine pressed onto the stainless steel cap, and does not come into direct contact with your eliquid. Ten (10) pieces of this top cap are available for RM145 / pc (USD45 / pc). Optional custom made SS stumpy drip tip (base fits perfectly with the neck of the UFO top cap as pictured) available at RM50 / pc (USD16 / pc). 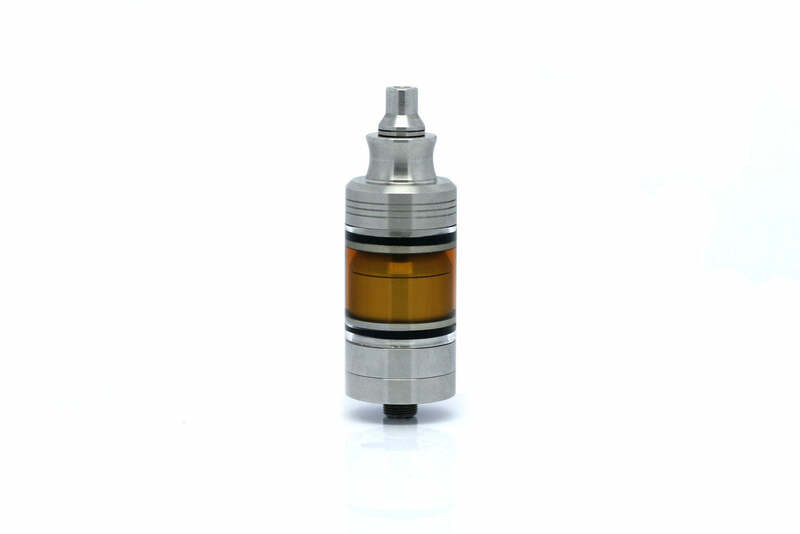 ** Note: The top cap takes up the top two slots of your Kayfun assembly. The top cap is "nano" size and to get the full nano size, you only need one nano ring. 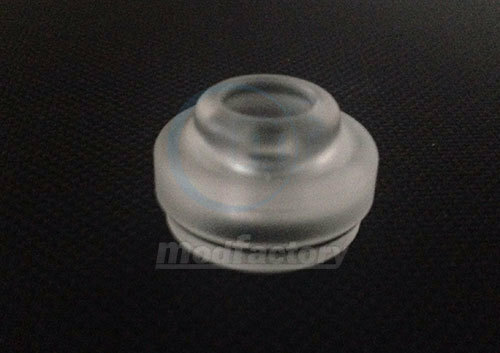 Hysteric Vape hat ein paar nette sachen auf seiner seite ,..
Hysteric Vape - Kayfun Custom Top Cap. Kayfun custom parts pre order for August is up! Post was edited 1 time, last by p-aus-d ( Aug 19th 2014, 4:08pm ). Kayfun Custom Top Cap by ChriS Mun/Hw White. Danke DIR [Links nur für Registrierte] - auch für all die anderen posts von Dir bzw. für die Zeit die Du Dir dafür nimmst! Kayfun Custom Top Cap by SteamTuners. Top Cap G2, is designed to offer the Kayfun a new badge design. It is fully compatible both standard size Nano size kit, and available in a wide variety of finishes. G3 Top Cap, thanks to micro dimensions, minimize the overall size of Kayfun, while not affects the capacity of a liquid. Characteristic of it's innovative design is that regular size kayfun, with the use of G3 Top Cap looks smaller than regular nano size kayfun. 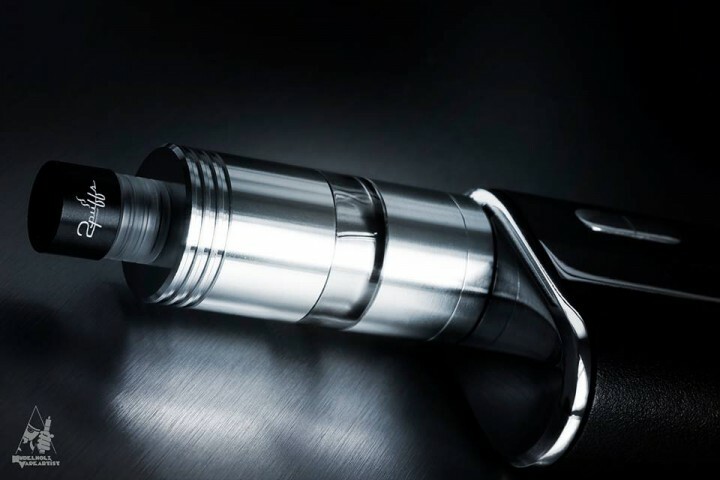 Top Cap G5, is designed to offer the Kayfun a new badge design. It is fully compatible both standard size Nano size kit, and available in a wide variety of finishes. Steam Tuners G6 transparent Top Cap is compatible with adaptor A1 which gives the Kayfun atomizer distinct character. The lightweight material, the understated design and the ultimate compatibility with the A1 adapter allow you to change the appearance of your atomizer at any time, without having to open the whole cap. Kayfun Bell Cap by 1Q Vape. The newest and hottest Kayfun cap on the market! More than just a top cap, the bell cap replaces the entire outer housing of the Kayfun with one seemless and sleek design. Give your kayfun a unique and uniform look with the Kayfun Bell Cap by 1Q Vape. - Fits on all Kayfun, Kayfun Clones, Russians, and Orchids. - Polycabonate plastic bell tank. - O-ring for chimney top. - Shortened chimney to fit on your Kayfun perfectly and allow drip tip space. Wo denn so genau ?? Ice cap for Kayfun 3.1, Kayfun Lite and russian. Kayfun K3 Top Caps by Reaper Mods.